MOSCOW (AP) — Sergei Yursky, a renowned Russian film and stage actor who has been widely recognized as one of the most talented actors of his generation, has died. He was 83. The Mossovet Theater where Yursky worked said he died in Moscow on Friday. The Tass news agency quoted his daughter as saying that he died of heart failure. Born to an actor's family in Leningrad, Yursky graduated from a theater academy and joined the city's Bolshoi Drama Theater in 1957. He worked there for the next two decades and made his directorial debut with Moliere. 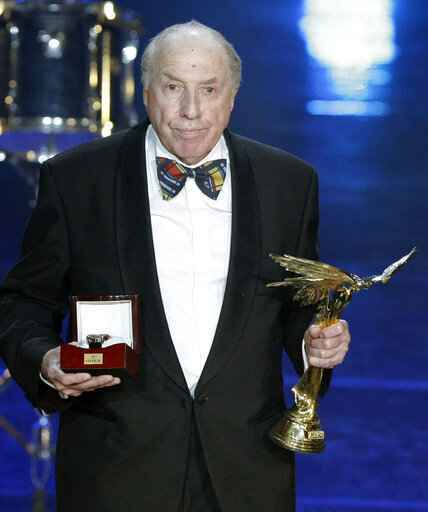 He had worked as an actor and director in Moscow's Mossovet Theater since 1979. Yursky also had a highly successful movie career, playing charming con artist Ostap Bender in the "The Golden Calf" and a desperate man facing murder charges and struggling to prove his innocence in "The Meeting Place Can't Be Changed" among dozens of other roles. Russian President Vladimir Putin sent his condolences to Yursky's family, describing him as a man of "remarkable, multifaceted talent." In a Facebook post, Prime Minister Dmitry Medvedev said that Yursky could perform "in different scenic genres — from tragedy to grotesque." ''His characters form a portrait gallery of an epoch," he said. Yursky is survived by his wife and daughter, both of them actresses, and two grandsons. He is set to be buried Monday at Moscow's Troyekurovsky Cemetery.